Herald the arrival of your seasonal celebration with the Fall Geometric Poster! Triangular windows into an autumnal wood grab attention within its dove gray background and point the viewer's eye to event details. Personalize this template to your needs in minutes—we’ll custom print and ship in one business day. Kindle interest for your occasion. 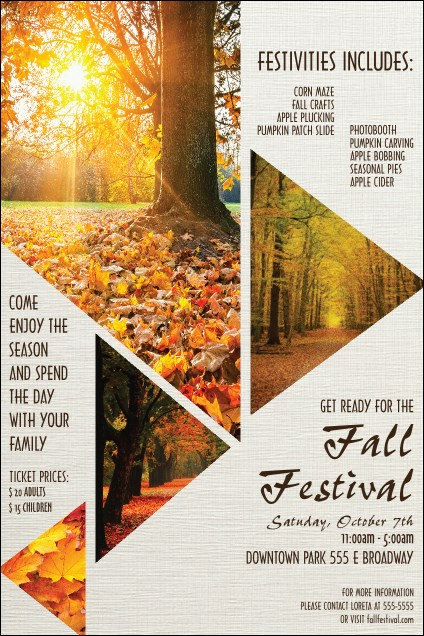 Browse hundreds of seasonally themed poster templates on TicketPrinting.com.